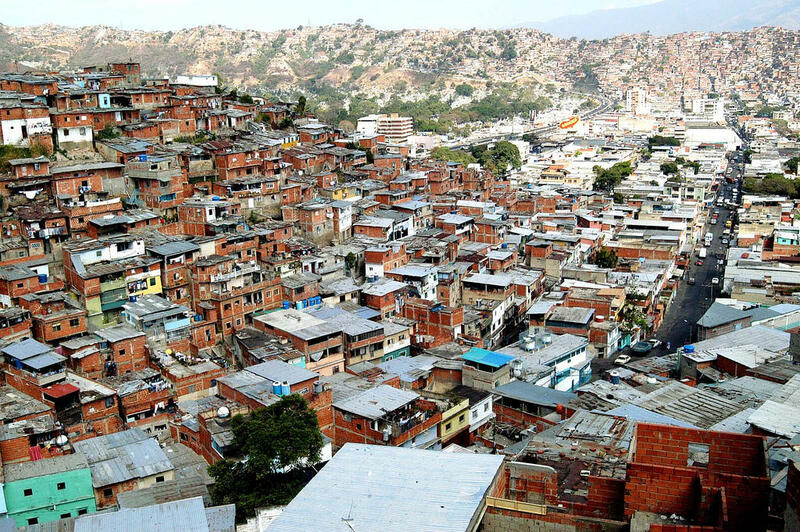 A hillside slum in Caracas, Venezuela. Of all the on-scene reporting from the deadly anti-government protests in Venezuela, Frank Bajak of the Associated Press may have written one of the most important pieces this week – and it didn’t involve tear gas or street barricades. The article should be mandatory reading in the middle- and upper-class bastions of Venezuela where opposition to the socialist government of President Nicolás Maduro is strongest. It should also be distributed in Doral, Weston and other Venezuelan expatriate enclaves here in South Florida, where the anti-Maduro fervor is just as heated. That’s because the 21-year-old Viscuna expresses a wisdom that foes of the ruling revolution have cluelessly ignored for too long: For all the deep flaws of that authoritarian regime – which have helped saddle Venezuela with South America’s highest inflation and murder rates – half the country’s population, mostly the poor part, still support it. Granted, given the social and economic crises, the poor themselves aren’t all that fond anymore of the revolution the late Hugo Chávez founded. But when they look down from their hillside shanties at the gated environs that families like Viscuna’s tend to hail from – or across the Caribbean at the Florida communities more privileged Venezuelans have bolted to – they still tend to see the reasons they voted Chávez into power in the first place. They remember the elite’s embezzlement of Venezuela’s prodigious oil wealth in the 20th century. They recall the epic corruption that helped keep half the nation in poverty, leaving slums like the one Viscuna visited this week with little or no potable water, electricity, medical clinics, bodegas or schools – all of which Chávez then lavished on them in the 2000s. What Venezuela's poor don't yet see is an alternative to Chavismo that they can trust. What Venezuela's poor don’t yet see is an alternative to Chavismo that they can trust. They'd like to – especially since many of them are tired of being cowed by thuggish, pro-government neighborhood watch groups known as colectivos. But until they do, all the street protests the political opposition can muster, no matter how justified they are, aren’t likely to oust the Maduro government. Which is why knocking on barrio doors may now be a more effective strategy than marching on government ministries. Here’s one concrete thing anti-Chavistas could do to back up the barrio forays the students are starting to make: Put their pro-capitalist money where their mouths are and look for ways to help seed small businesses that would do as much if not more to empower the poor as Chavista social projects have. I raise the notion because I’ve seen it work for opposition leaders like Henrique Capriles, the governor of Miranda state next door to Caracas. His government has prioritized micro-business development for the poor – I spent some time in 2012 observing the workshops – and it’s a big reason that Capriles, as the unified opposition’s candidate, almost defeated Maduro last year in the special election to succeed Chávez. Venezuelan ex-pats here could funnel some of their flight capital back home for similar bridge-building purposes – or, God forbid, actually go back and visit a slum or two themselves and get to know the hoi polloi as something more than an inconvenient abstraction. It would certainly help their opposition cause more than engaging in local witch hunts like the one I wrote about last week. That involved a swarm of anti-Chavista knuckleheads, mostly in Doral, who are leading a senseless but effective boycott of a Miami business owned by a Brazilian-American woman. Her crime: She advised them not to post online photos from clashes in Syria and Ukraine and claim they were images of Chavista brutality in Venezuela (of which there are plenty of authentic pictures and video, by the way). They branded her a communist and smeared her across social media. Someone needs to remind the so-called Doralzuelans that this is how the Cuban exile community used to fight the communist Castro dictatorship back in Cuba – by imitating that dictatorship’s intolerance here in Miami – and that after 55 years the dictatorship is still there. If the Doralzuelans don’t want to repeat that failure, they’d do well to remember what Capriles told me a couple years ago: that if Venezuela's opposition doesn’t engage the poor, "then it’s game over for us.” Or what Mario Di Giovanni, a student opposition leader here in Miami, told me last month: that the anti-Maduro cause is “not going to get anywhere without” the poor. Or what Fernando Viscuna told Frank Bajak this week. It’s not as easy as leading the boycott of an innocent woman’s business. It’s just more effective. Can Venezuela's U.S. Dollar Restriction Keep $1 Billion Out Of Florida? What do you do when your country’s foreign reserves are dropping at a rate that would make avid bungee jumpers nauseous? If you’re left-wing Venezuelan President Nicolás Maduro, you take strong, decisive macroeconomic action. You withhold dollars from Mickey Mouse. Yessir, you discourage your countrymen from traveling to Florida, by further restricting the amount of dollars they can spend there with their bank credit cards – from $2,500 to $700.